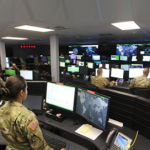 The U.S. Army‘s 41 Cyber Mission Force teams have achieved “full operational capability” status from the U.S. Cyber Command. The Army said Thursday the grant follows the teams’ required completion of multiple training courses on cyberspace operation areas such as planning, network operations and architecture, detailed software analysis and development. The series of training courses aims to ensure Cyber Mission Force readiness. U.S. Cyber Command formed the teams to defend Defense Department networks, ensure data security, support military goals and protect U.S. critical infrastructure. The teams are divided into two classifications: Cyber Protection Teams and offensive mission teams. Additionally, the Army plans to establish 21 more CPTs from the U.S. Army National Guard and U.S. Army Reserve. U.S. Army Cyber Command administers electronic warfare, information and cyberspace operations to protect the country. The first Cyber Mission Force team became full operational in 2014.